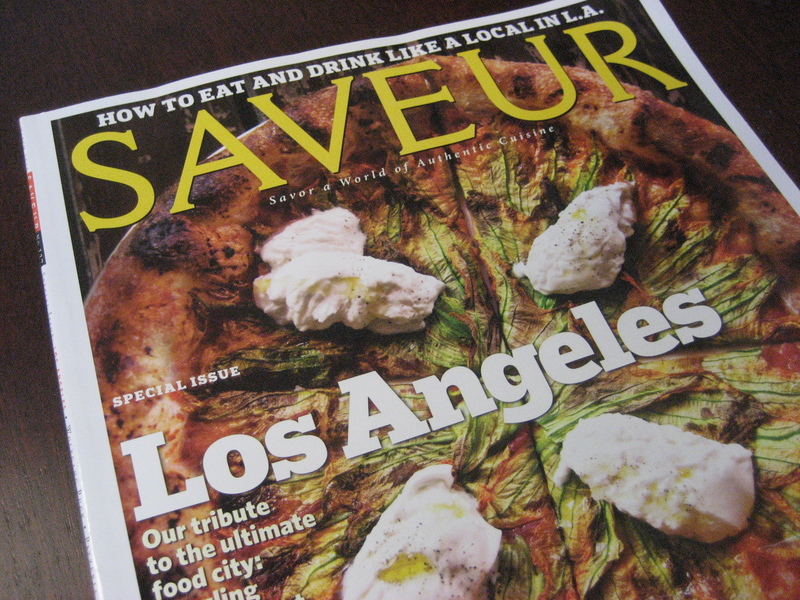 Doctor’s offices aren’t known for having stellar selections of magazines, so I was pleasantly surprised to find the latest issue of Saveur on my MD’s coffee table. 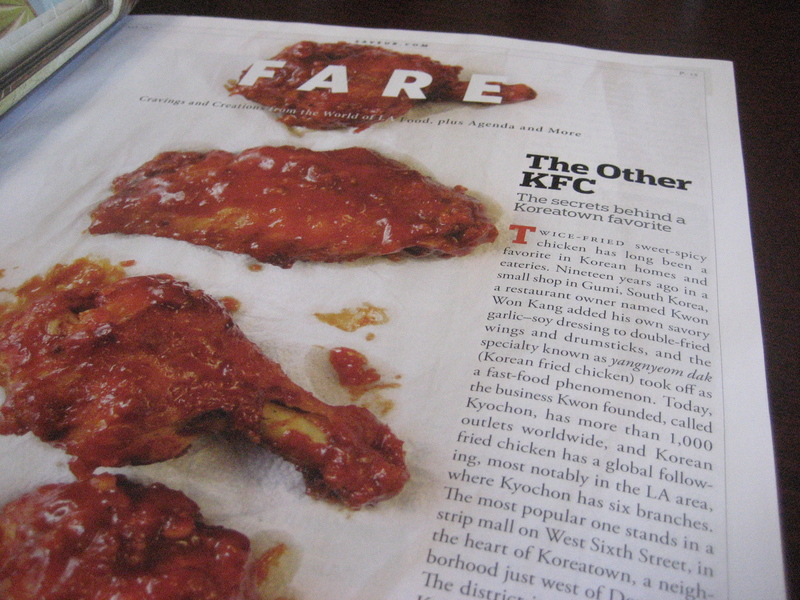 The March 2010 issue is devoted to the Los Angeles dining scene, and I recalled that my buddy the Gastronomer had contributed an article on KFC (Korean-fried Chicken) at Kyochon. 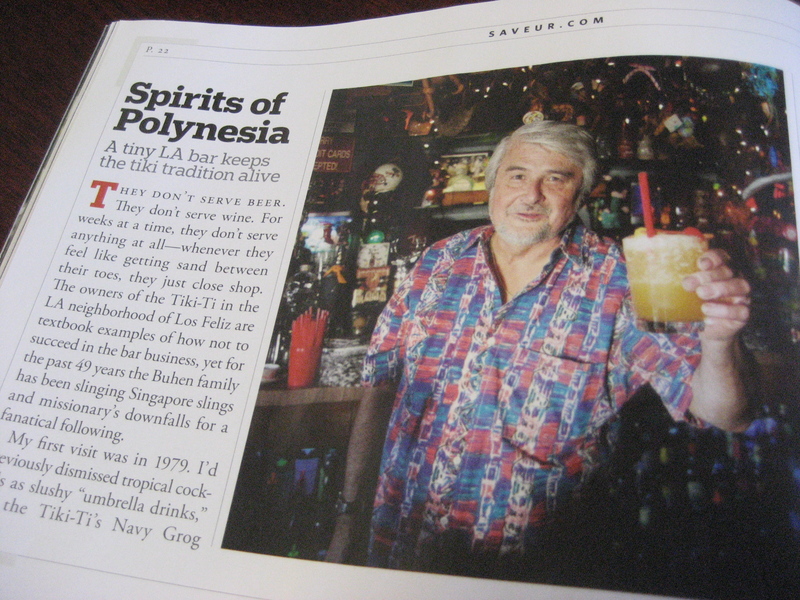 After giving that a gander, I flipped forward a couple pages and what do I find? Tiki and KFC. That’s why we love LA. That and the traffic! …oh wait.